The white balance with the IS-Pro seems to be a bit strange when processing the (visible light) photos in Adobe Camera RAW. 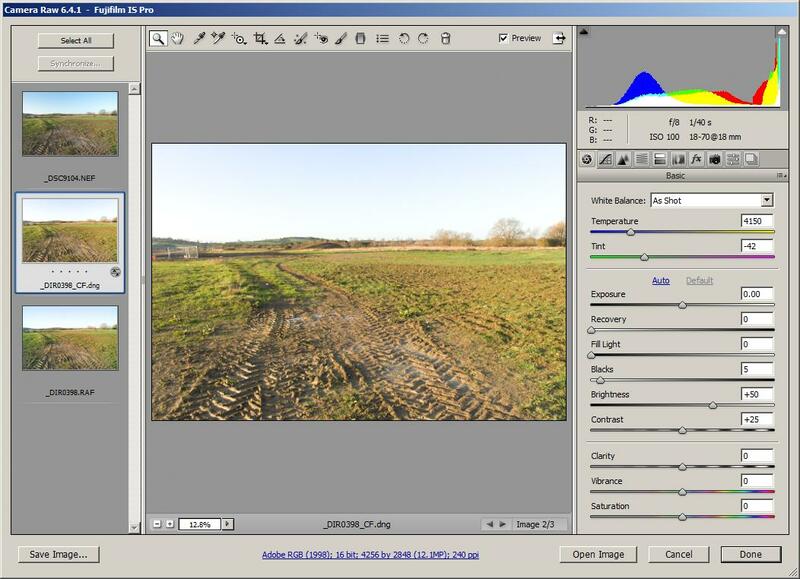 I don't have the Fuji software, but I assume that would handle the files fine. Here is a comparison between the IS-Pro and my Nikon D200, both set to Daylight white balance in camera and shooting RAW. With the white balance setting in ACR set to 'As shot', the Nikon image is quite a bit cooler than the Fuji image. If we look at the color temperature and tint that ACR has selected for 'As shot', they are quite a bit different, even though both cameras were set to Daylight WB. The Nikon is 4950K with a tint of -3, while the Fuji is 4150K, with a tint of -42. 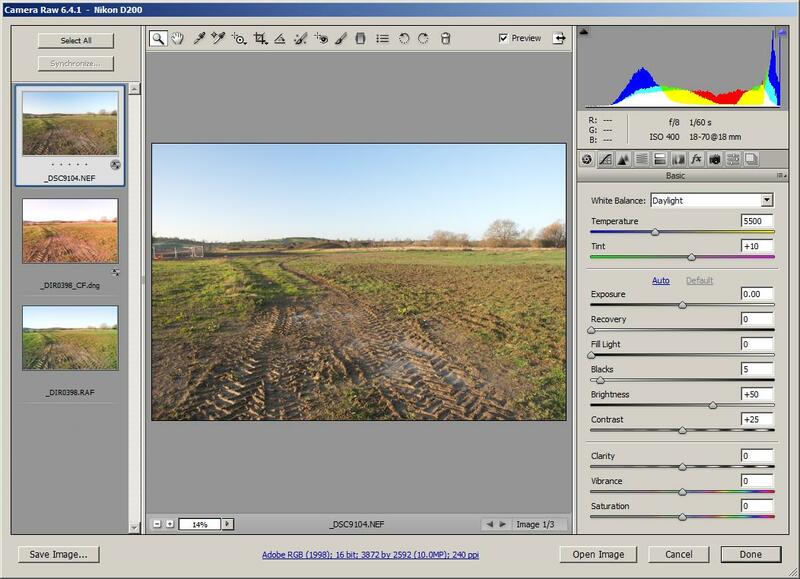 Even though the Nikon image has a warmer color temperature, it looks cooler than the Fuji! Now, if we use the ACR preset for Daylight, the Nikon image looks warmer, closer to the colour temperature of the Fuji with WB set to 'As shot'. However, the IS Pro image takes on a nasty red cast when using the ACR preset. 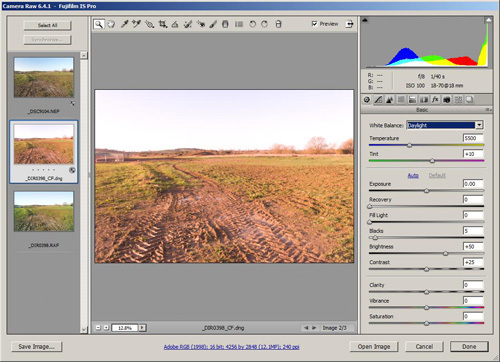 Setting 'Auto' as the preset also has a similar effect. On the camera profile tab, the Nikon image has a large range of options, 'Adobe Standard' is the default, which was used on the image above. 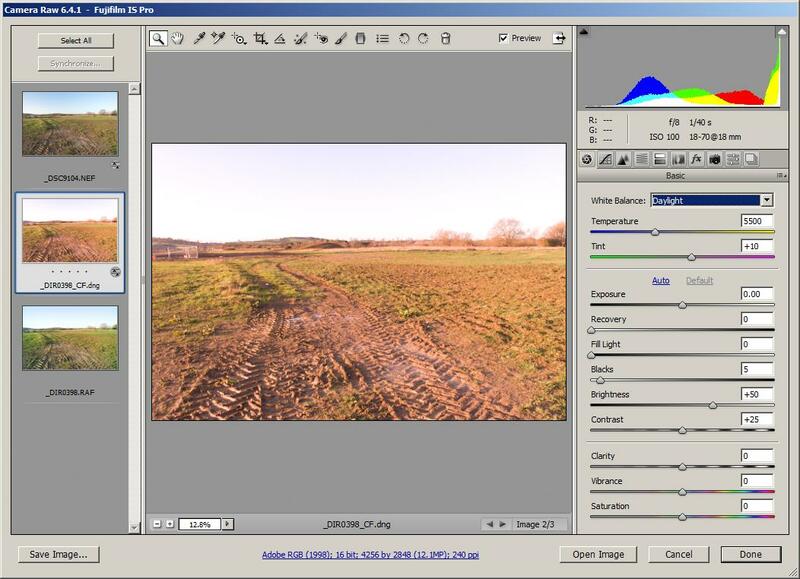 For the IS-Pro, the default camera profile is 'ACR 4.6', which was not available as an option for the D200 image. The only other option I have in the camera profiles for the Fuji is 'Fujifilm IS Pro Untitled Recipe', which is probably something I created and can't remember. It doesn't seem to be any different to the ACR 4.6 profile anyway. 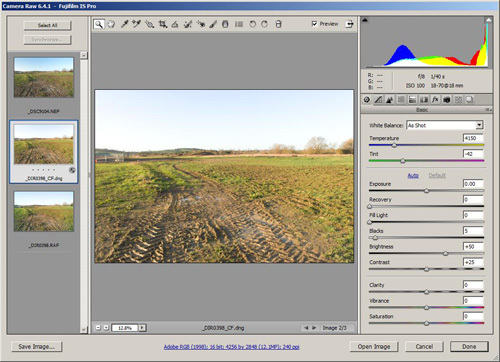 The IS-Pro image above has been converted to DNG and run through CornerFix. However, this is not causing any problem with the white balance settings as the RAF files display the same effects. Use a grey card or some other white balance tool when shooting, and then use the white balance tool in ACR to set the correct white balance. (I haven't actually tested this, but can't see how it wouldn't work).